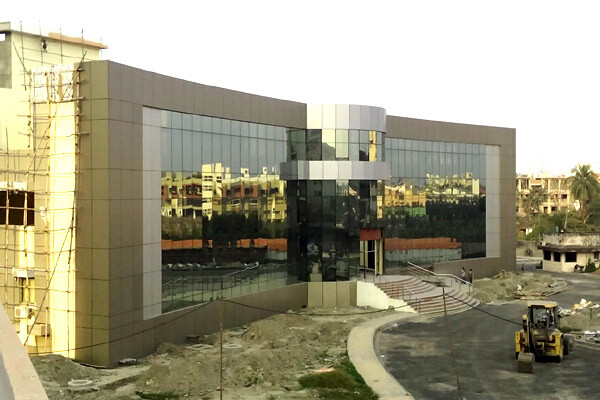 UAE-based Merint Group said it has completed the construction of India's biggest cyclotron facility at Kolkata in the state of West Bengal. The company's specialised contracting arm based in India built the entire state-of-the-art cyclotron facility, including the housing for the sensitive Cyclone 30 system, to protect against nuclear radiation. The hi-tech unit will now begin production of radioisotopes that are vital for the diagnosis of cancer and used in the destruction of cancer cells to facilitate remission, said a statement from Merint. With the unit now operational, India proudly joins an elite global club by becoming only the fifth nation with superconducting medical cyclotron facilities, it added. Regular production at the facility will commence by mid-2019. The Cyclone-30 machine situated at the Kolkata-based Variable Energy Cyclotron Centre, is activated under the aegis of the Department of Atomic Energy (DAE). This highly sophisticated linear accelerator machine designed and manufactured by IBA-Belgium and hot cells/dispensing systems by comecer Italy demand a very exacting protocol for their placement and the casing around around them. On the key achievement, Merint founder and CEO Fazal Manekia said: "It is a major milestone for our company to be such an integral part of what is such a defining moment in India’s history. We have always striven for excellence and chosen the less used path to reach new frontiers and this is an exceptional achievement." He added that it was a proud moment for his Dubai-based company and reiterated it as another example of the swiftly growing co-operation between the two countries.